Be an Agent for Change. 'Be' is an invitation. 'Agent' is defined in the dictionary as a person or thing that takes an active role or produces a specified effect-the doer of an action. Agent 'for'-and not of change. An important distinction - for means the agent can support change, and throughout their actions encourage change but they are not themselves the change. Positive 'change' in lives is the goal here. The only person you or I have a hope of changing is ourselves. As a realtor, I can operate my business as I choose so I can begin here. There are things I wish were different about my industry and realtors but as is true for each of us the only one I have any control over is myself, no one else. What I would hope all realtors would do I can do here with this realtor and I become an agent for change. You may feel the same about your profession or industry and if you do, look no further than the mirror it begins there. There are 5 organizations that I support to encourage their efforts to positively impact lives and our community. Why not do the same yourself or join me as an Agent for Change and support my efforts with a referral to encourage and support them. 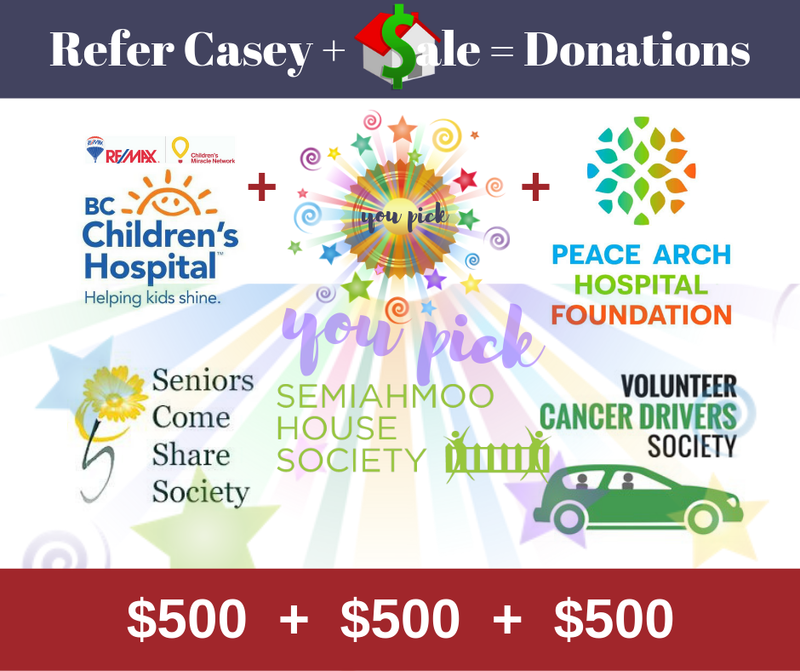 Casey referral + Sales = Donations.